You will learn how to develop the right content, and then determine which social networks are appropriate for your organization. Plan on bringing social media questions and leaving with practical tools to execute compelling social media plans. 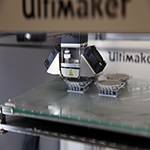 The Digital Media Lab (DML) is an exciting, high-tech space where you can use 3D printers, edit videos, build apps, get assistance with multimedia projects, and much more! Join communities across the U.S. for the twelfth annual CHINA Town Hall. 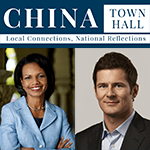 This national conversation on China features an interactive webcast with Secretary Condoleezza Rice and an on-site discussion with Thilo Hanemann. Tactile Paths: An Introduction to Notation for Improvisers Funded by Berlin Senate Department for Culture and Europe.